Fiat has collected a top advertising award at the Cannes International Festival of Creativity for its “For people who hate going twice” print advertising campaign in support of the Fiat Ducato, its large van range. 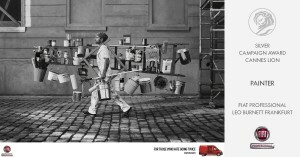 Fiat has collected a top advertising award at the Cannes International Festival of Creativity. The material “For people who hate going twice” print advertising campaign in support of the Fiat Ducato, its large van range. Attended by more than 9000 advertising, design and marketing professionals from 90 countries, the Cannes event is the largest conference of its type in the world. The key moment of the week-long event is the presentation of the Lion Awards, celebrating the best of the current year’s advertising, marketing and creative design. In the “Print and Publishing” category, the prestigious Silver Lion went to the “For Those Who Hate Going Twice” campaign for Ducato, the largest and most capacious van in the Fiat Professional range. 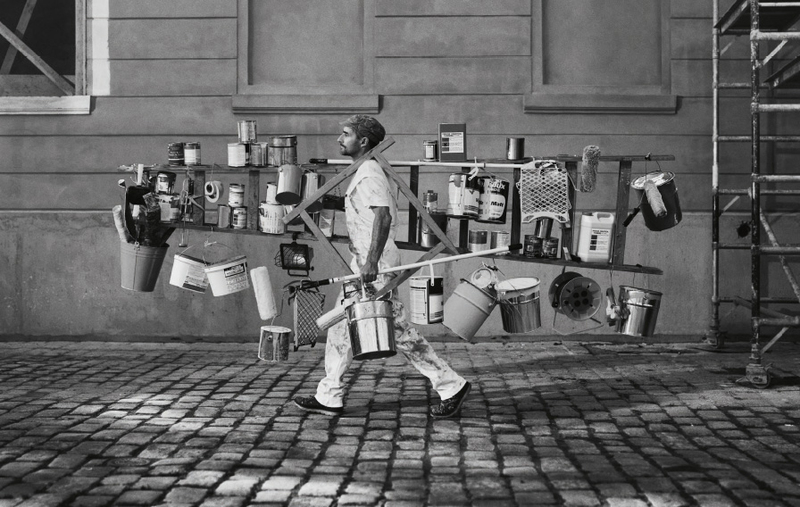 The advertisement celebrates how when people need to move a large amount of things they often come up with bizarre and picturesque ways to carry everything in one go so as to avoid making two trips. 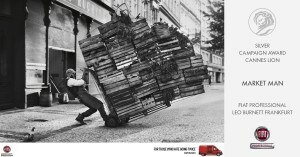 Starting from this insight, shared by artisans, builders and small entrepreneurs, the print campaign produced by advertising agency Leo Burnett, shows three professionals – a gardener, a greengrocer and a decorator – struggling with huge loads to move. 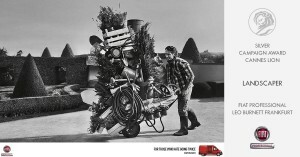 It uses a modern, sophisticated and ironic language, in three black and white photo ads. It is an unexpected, surprising way to talk about Ducato’s great load capacity. Indeed, it is this outstanding range of abilities that has made the Fiat Ducato the brand’s best seller. chosen by more than 2.9 million customers in 35 years and six generations including more than 600,000 families travel in a Fiat Ducato based motorhome, the Ducato base being the undisputed leader in this sector and a benchmark in the category: more than 75% of motorhomes on the road today have a Ducato base. Chosen by more than 2.9 million customers in 35 years and six generations including more than 600,000 families who travel in a Fiat Ducato based motorhome. The Ducato base being the undisputed leader in this sector and a benchmark in the category with more than 75% of motorhomes on the road today. For New Zealand gardeners, greengrocers and decorators (and countless other van users, of course) who hate to go twice Fiat offers six versions of the Fiat Ducato priced from $56,990 plus on-road costs. All are powered by a 3.0 litre Turbo Diesel engine specifically designed for the demands of commercial vehicle use with 130 kW and 400 Nm of load lugging torque. Load space volume ranges from 10 to 15 cubic metres and payload from 1.4 to 2.06 tonnes.